Indiana Pacers Small Forward has made quite an impression in the sneakerhead circles for his impressive on-feet selections for the 2011-2012 NBA Season. Some of his notable in-game appearances include Kobe VIIs, Spizikes, Air Jordan Retros, the Air Flight One ‘Galaxy’ for the Dunk Contest, and even the Electrolime Foamposites (matching quite well with the Indy Yellow/Navy). 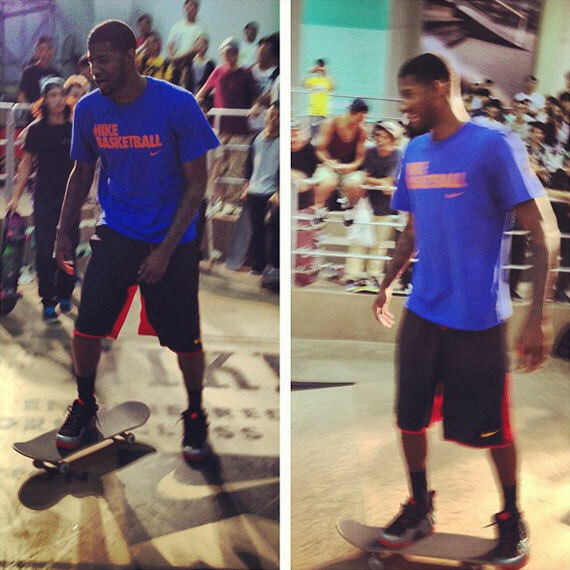 At this moment, Paul George has joined several Nike athletes like LeBron James and Eric Koston in China, where the Nike Festival of Sport 2012 is taking place; in a skate-demo led by Nike athlete Eric Koston, Paul joined in by getting on a skate deck wearing the Air Foamposite Pro ‘Bright Crimson’. Are Foams decent skate shoes? Likely not: they’re heavier than skate shoes and the board-feel might not be the best with the thick rubber outsole. 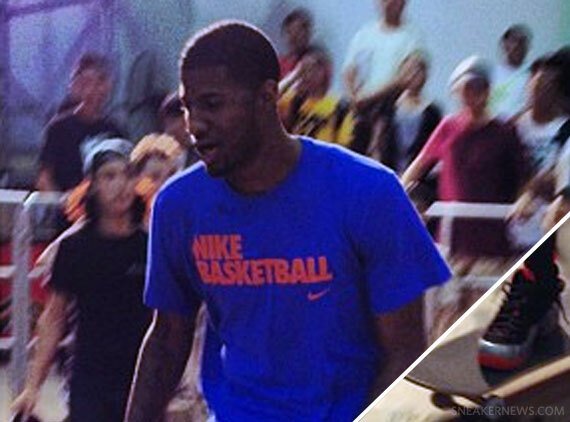 More of Paul George in Foams below, so take a look!